Next Monday Seven screens ITV miniseries Little Boy Blue which dramatises murder of 11 year old Rhys Jones in Croxteth, Liverpool in 2007. This stars Stephen Graham, Sinead Keenan (This is England), Melanie Jones (Being Human) and Brían F. O’Byrne (The Last Ship). It is produced and directed by the team behind Cilla and Mrs Biggs and aired in the UK in May. Based on a true story that shocked a nation, this powerful drama mini-series, from BAFTA winning writer and executive producer Jeff Pope (Appropriate Adult, The Widower), centres on the devastating impact on a city of an innocent child’s murder amid a wave of gang violence. In August 2007, while walking home from football practice in his England kit, 11-year-old boy Rhys Jones was unwittingly caught in the crossfire of a gang war. Shot in the neck outside the Fir Tree pub in Liverpool’s Croxteth, he died in his mother’s arms. Made with the support of Rhys’ parents, Melanie and Steve Jones, Little Boy Blue explores their ordeal and looks at the agonising dilemmas of witnesses faced with becoming pariahs for speaking up. It tells the story of the long and extensive investigation, led by Merseyside Police SIO David Kelly, that eventually brought Rhys’ murderer and his associates to justice. 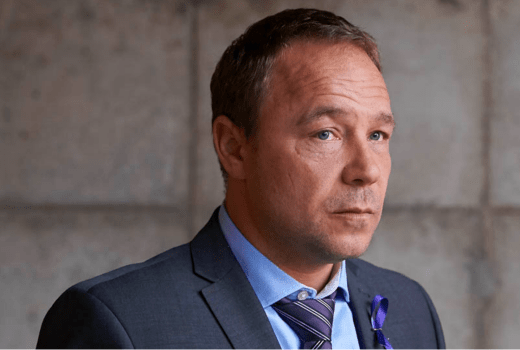 Stephen Graham (Taboo, This is England) takes the role of Detective Superintendent Dave Kelly who led the investigation into Rhys’s murder on behalf of Merseyside Police, while Sinead Keenan (Being Human) and Brian F. O’Byrne (Million Dollar Baby, Prime Suspect) play Melanie and Steve Jones. Filmed on location in Liverpool and the North West and based on careful research, Little Boy Blue is produced by Kwadjo Dajan (Cilla, Mrs Biggs, Appropriate Adult) and directed by Paul Whittington (The Moorside, Cilla, The Widower, Mrs Biggs).